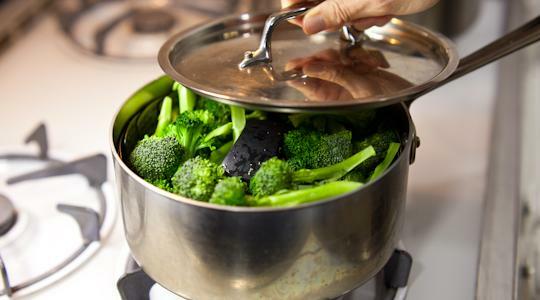 Fill a medium saucepan with 1 inch of water and fit it with a steamer basket. 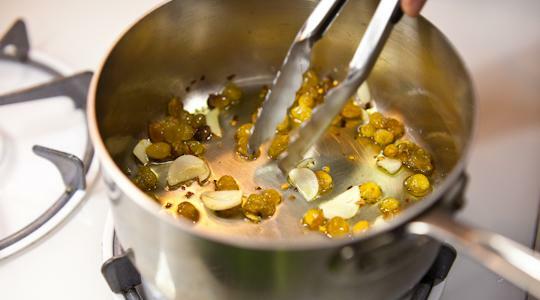 Bring the water to a boil. 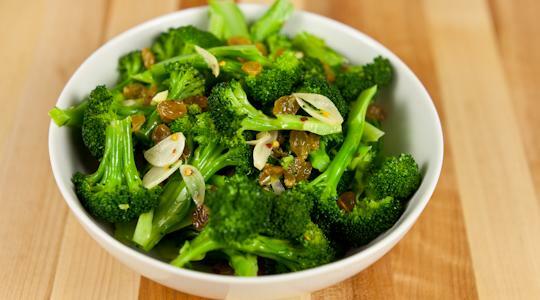 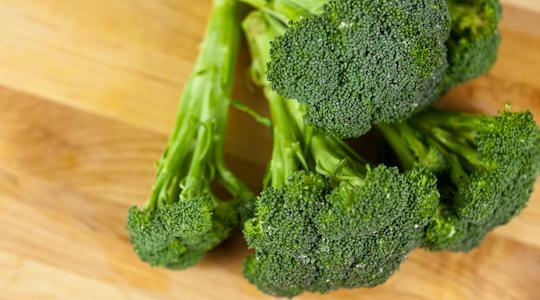 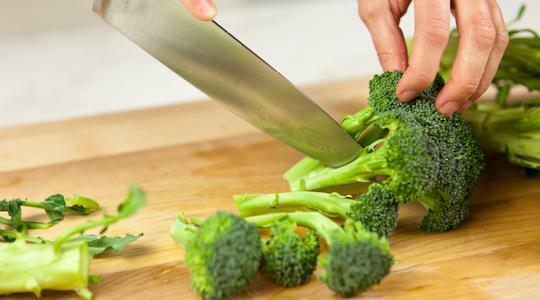 Cut the broccoli into florets, leaving 2 to 3 inches of stem attached. 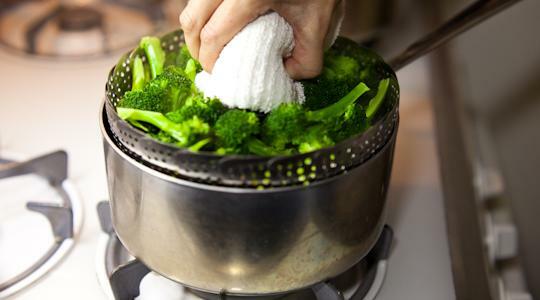 Place in the basket, cover and steam until tender, 3 to 5 minutes. 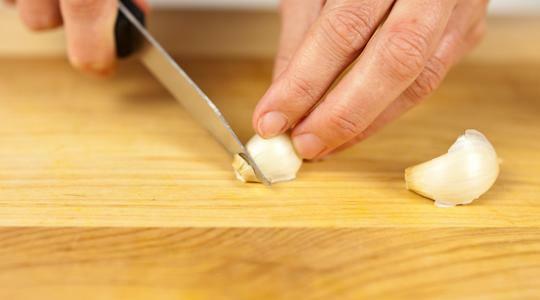 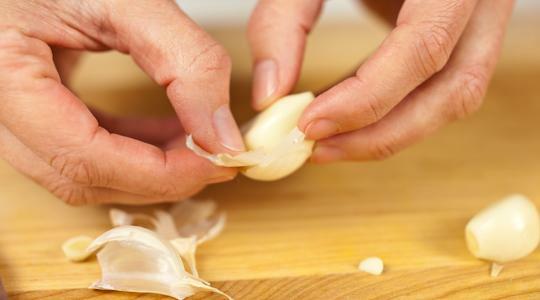 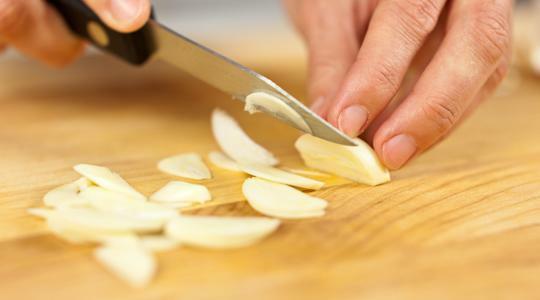 Slice the garlic. 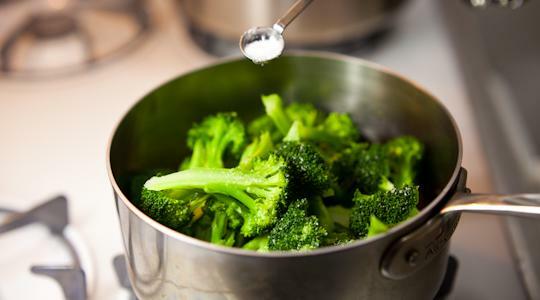 Remove the basket and broccoli and pour out the water. 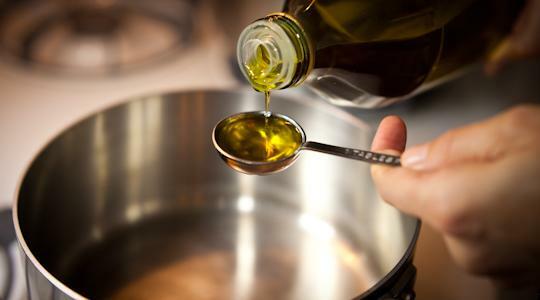 Wipe out the pan to remove excess water and return it to medium heat with the oil. 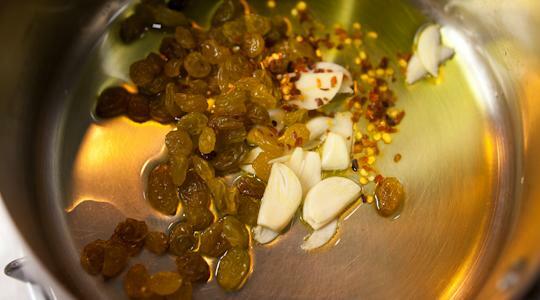 Add the garlic, raisins and red pepper flakes and cook, stirring, until fragrant, 1 minute. 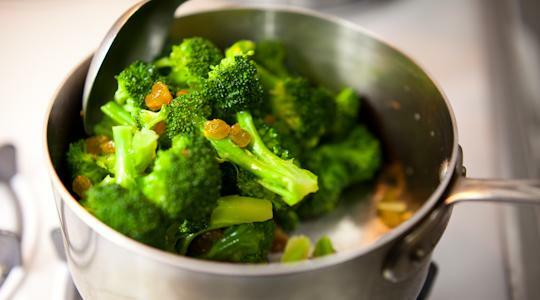 Add the broccoli and salt and, using a large spoon, stir to combine.